Welcome to the OPNsense documentation & wiki project! The documentation is work in progress and is updated frequently. If you would like to contribute in anyway, please take a look at our guide how to Contribute. 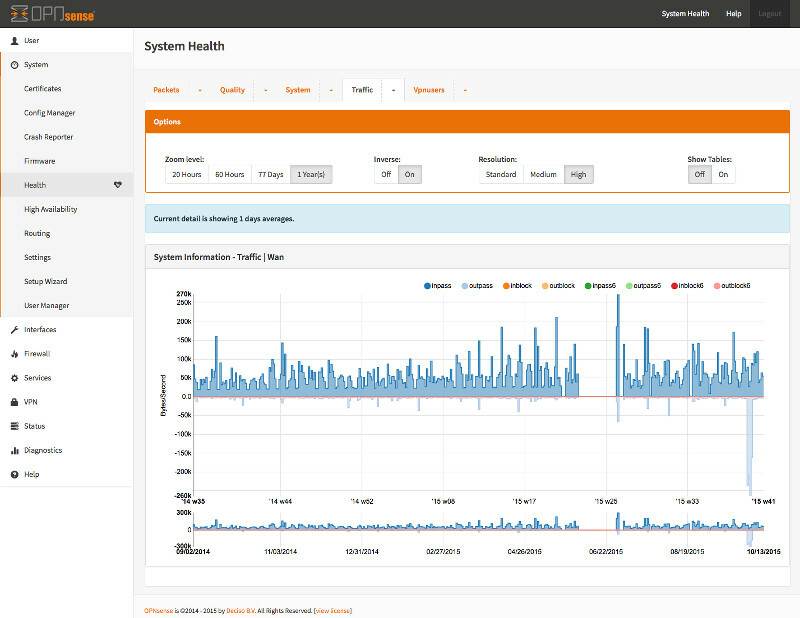 The feature set of OPNsense includes high-end features such as forward caching proxy, traffic shaping, intrusion detection and easy OpenVPN client setup. The latest release is based on a recent HardenedBSD for long-term support and uses a newly developed MVC-framework based on Phalcon. OPNsense’s focus on security brings unique features such as the option to use LibreSSL instead of OpenSSL (selectable in the GUI).